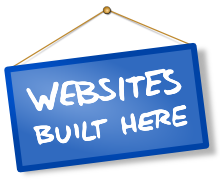 We can create them from scratch, or add functionality to your existing site. Web sites aren't only for reading. They do stuff: sell products, allow visitors to interact, show videos and photos, allow guests to register for events or download resources. We'll use a foundation of high-quality, open-source software like the Apache web server, the PHP web programming language, the MySQL database server, and the Drupal content manangement system to build you a site that does those things and more. And along with that neat stuff your site does, you need security. We can help you fight spam and plug security holes in your sites and applications. Content comes first, but it sure is nice when it looks good. We can help you create accessible, appealing, functional web site designs that don't slow down your site. It's the content that makes your site. You should be able to add to and edit the words, images, and other media on your site without a middleman, so we build web sites with content management systems, like Drupal, that allow you to log in and edit the site right in your browser. No HTML or FTP uploading required. Need an email newsletter? A blog? We can build them and make them look and work exactly the way you want.